Home visits to understand the situation of children at home and plan effective interventions. Conducting camps to provide comprehensive care to the children. Meeting the children in the hospital and providing counseling. Preparing and executing individual care plan for all the children. Legal and service delivery networking with the Governmental departments and like-minded NGOs. Effective referral of children who need institutional care. 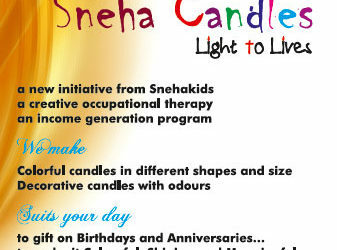 It is an outreach program of Sneha Care home, Bangalore, targeting the children affected and infected with HIV. The goal of this attempt was to enhance the quality of life of these children by making basic services available for them and preparing them for a productive life. Another important aim we had while launching this programme was making every effort to address their traumas, build their self esteem and confidence, recognize their aptitude and develop their skills based on the aptitude, and make them independent citizens of the country. This year the programme took a new leap as we were able to make a comprehensive database of 105 CLHIV and 300 children affected by HIV in Kolar district and frequently follow them up. We conducted two assessment camps for them; one from November 7, 2015 for two days and another camp from April 28, 2016 for four days. Furthermore, we also organized a camp for them in the community. During the camp we conducted clinical assessment and evaluation along with the assessment of their psycho-social needs and other issues of the children. Besides them, various activities and informative sessions were organized by renowned resource persons. The outreach programme paved way for helping many children with chronic health issues from the community being diagnosed and receive adequate access to health facilities. Three children, who were with us in this programme, were given admission in Sneha Care Home for the next academic year.